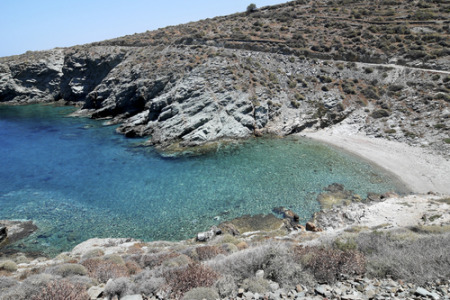 Ligaria holidays take you to a very pretty village on the northern coast of Crete, fifteen kilometres from the island's principle town Heraklion. Holidays to Ligaria can be taken from April until October with temperatures reaching a pleasant thirty degrees at the height of the season. With a sand and shingle beach and clear, warm waters offering safe bathing for less confident swimmers, it comes as no surprise that our cheap ligaria holidays are snapped up by families. Access to the beach is fairly steep and may be unsuitable for less mobile visitors. Holidays in Ligaria have wide appeal with the exception perhaps of young singles as nightlife here is very relaxed, with evenings spent eating and drinking in the company of family and friends. Our low cost Ligaria holidays are ideal for those looking for a base with a traditional atmosphere, from which to explore the rest of the island. With Heraklion only a few miles away, it matters little that shopping in the village is limited as a wide choice of goods are available there. Our bargain Ligaria holidays are considered great value as our commitment to quality and service is never in doubt. For further details, and to find our best Ligaria holiday offers, please use the search facility.